Queen Elizabeth has slid down the pole and is no longer among the three hundred richest individuals in the United Kingdom. Somebody break the news to Prince George that he can have either an entire Toys R Us or an entire FAO Schwartz for Christmas, but not both. Down here among the hoi polloi one must make choices, George. That’s according to Mashable, reporting on this year’s Sunday Times “Rich List.” You see, the UK has been overrun with billionaires in recent years. London in particular is lousy with ‘em, burrowing into the ground to build five-story basements (typical nesting habits of the superrich). 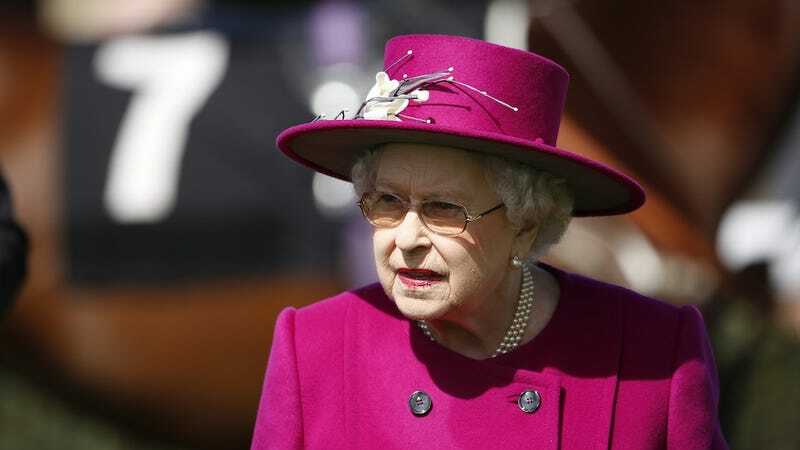 They ballpark Queen Elizabeth’s personal fortune around £340 million, which lands her at spot 302. She’s not exactly pawning her pearls—in fact her resources have jumped £10 million—but hell, that’s practically a tight budget for London these days. I know it’s tough not having more money than Andrew Lloyd-Webber, Bitsy, but you’ll get through this.